It’s a funny old thing when colours become fashionable after languishing in the dark for eons. Why certain colours become de rigeur can be hard to trace. Undoubtedly it may have something to do with the combinations of the layers of an interior scheme; items that contrast well set off a chain reaction of popularity. For example, a while back copper finishes were the latest must have from utensils and candle holders to lamp shades and chair legs…why? possibly because copper hadn’t been popular for decades and once one or two tastemakers used it the look trickled down to the mainstream via social media and print. The question for stylists photographing homewares then became: what colour looks good combined with copper? 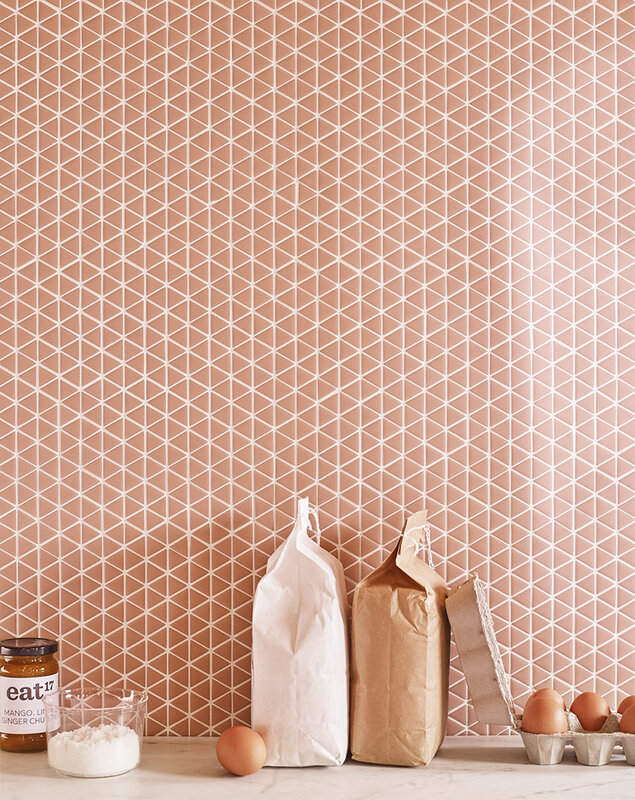 is this where pale pink and blush tones appeared from, because they contrast well with another popular finish? whatever the reason this hint of pink trend is certainly having a moment and possibly a moment that will remain a season or two yet. 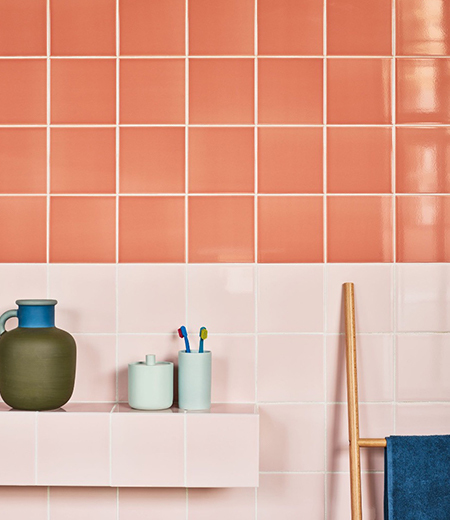 At Claybrook we’ve long loved blush as a backdrop instead of cream or white as it adds warmth, a little feminine chic, and looks lovely with a range of stronger colours and finishes from aquaramine and emerald green to minky browns, murano glass and antique brass. 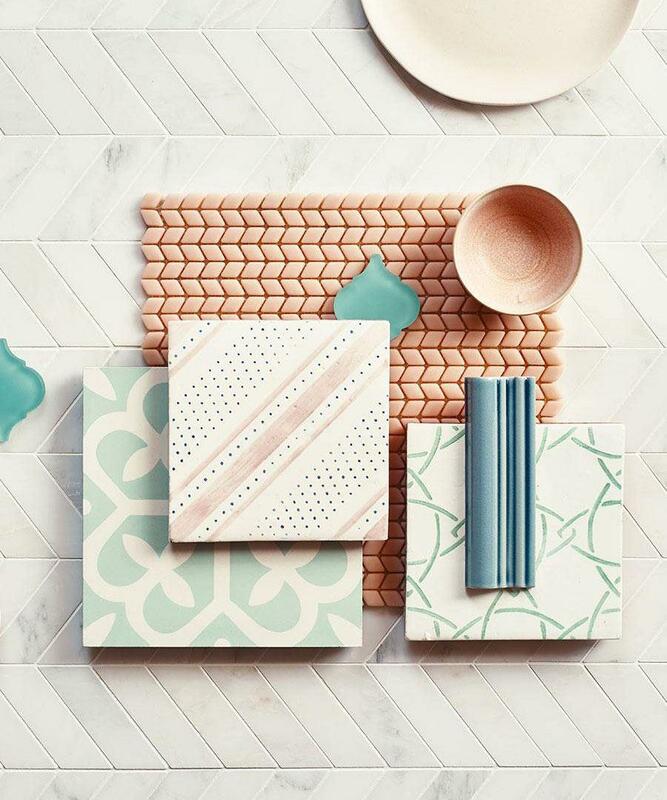 Our debut collection of wall and floor tiles certainly incorporate a smattering of pinks and pale blush; from the hand-painted stripes and spots in our french influenced Cannes collection, to the recycled crushed glass of our confiserie mosaic tile. Green has long been paired with pink, perhaps most recently in the 1970’s when no middle-class home seemed complete without a pink sitting room carpet paired with a moss green velvet three-piece suite with fringing. Or perhaps you remember a green bedroom carpet with pink candlewick bedcover? 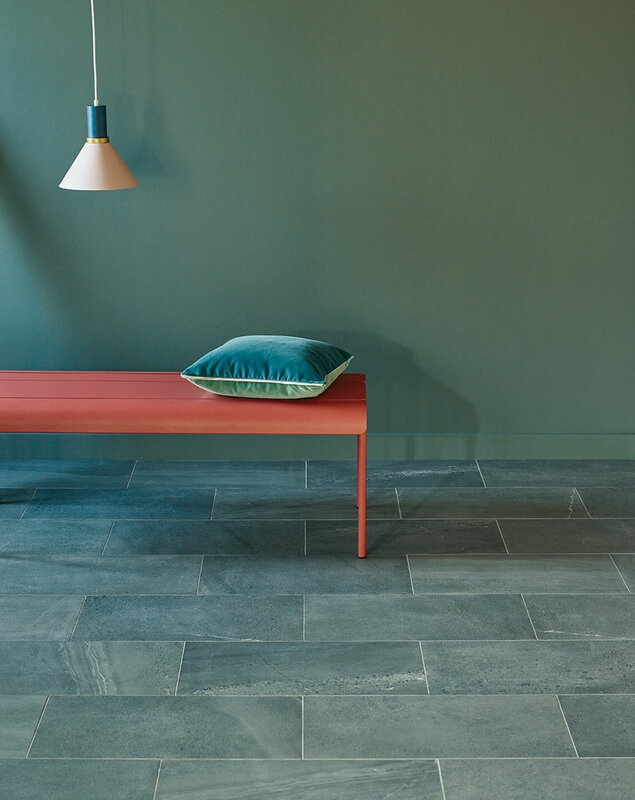 So as not to break this timeless combo a number of our ranges incorporate green shades which have themselves had a moment in the spotlight over recent months. Mint seems to have given way to softer moss and pale greens. 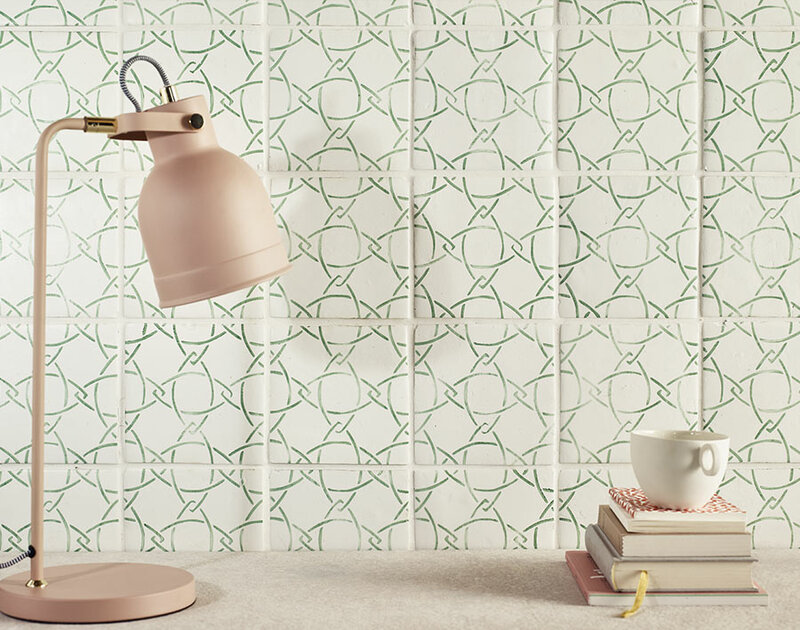 Our Metro Deco wall tiles are a good example of this; the Penn Station colourway is a gorgeous shade of deep green. Our Byzantine and Confiserie glass mosaic collections include delicious greens from teal to muted jade and all are perfect for bathrooms and kitchens for a cool and fresh look. Whatever the reason for these shades having their resurgence the team at claybrook are loving them so expect to see more of the combo of pink and green in the months to come.